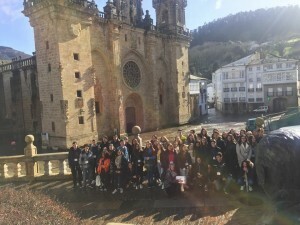 The whole group of Spanish, French, Romanian, Italian and Greek students in Mondonedo – during a few hours of sun… Our partners in Spain are welcoming us under the rain and in the cold, but with a big heart and smiles all over their face. The region is beautiful, the food is good and most of all, the people are friendly and open minded. So are all these young students participating in this project! Don’t forget ! 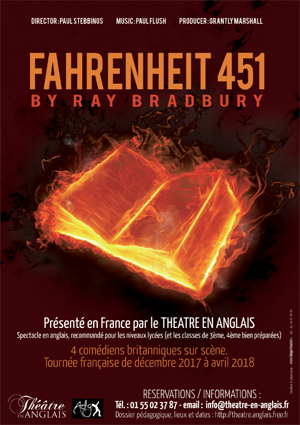 We’ll meet at 9.30 am in front of the theater (33 rue Bossuet, Lyon 6e). Don’t be late and DO NOT bring your backpacks. See you there ! Guy Montag is a fireman who burns books in a futuristic American city. In Montag’s world, firemen start fires rather than putting them out. Erasmus + : a great project ! Watch the videos that your friends made during the last European project ! Welcome (again) to this website! In the US, February is Black History Month. Some famous people are remembered while others, who participated in the struggle for Civil Rights remain anonymous… Read the article below and discover some stories that are not in History (or English!) books. Merci d’avance pour votre contribution à la réussite de cet évènement. The day after Donald Trump enters the White House, women’s organisations are calling for women to mobilise to make it clear that they will defend their rights against any threat from the new administration. Brexit… What does it all mean ? The UK, GB, Brexit etc. A very funny sketch from these 3 guys called « Foil Arms and Hog »… if you get mixed up with all the abreviations. Enjoy ! 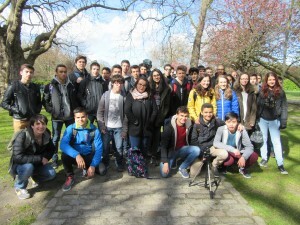 A memorable trip to Ireland with the 1e Euro! Thank you guys, you were ALL wonderful !